Our Child Contact Centre is a safe, friendly and neutral place where children with separated families can spend time with one or both parents and when appropriate, other family members. It is a child centre environment that puts the needs of the children first. 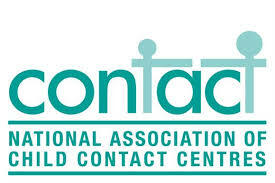 LFLCCC is run by a team of experience and qualified staff and volunteers headed by a Co-ordinator who have been through the DBS check and adhere to the quality framework of the National Association of Child Contact Centre (NACCC). Use of LFLCCC is by referral. The referral can be made by a parent, solicitor, family mediator, cafcass officer, social worker or family support worker. The person making the referral completes a referral form and sends it by post or email. Once the parents have been interviewed and accept our agreement for use of child contact service then contact can start. A service where contact takes place without constant supervision by a supervisor and agreed by both parents or ordered by the court. Report in the form of record of contact can be provided upon request and there is a cost for this service and for the reports. A service where contact takes place in the constant presence of a trained person with direct responsibility to observe and ensure the safety of those involved. Factual reports can be provided upon request and there is a cost for this service and for reports. The centre is use as a “drop off” and “pick up” point and is suitable for parents who do not want to meet.